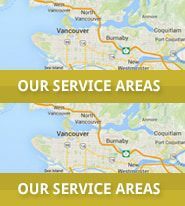 At Bur-Han, we get a lot of questions about lawns and gardens from customers in Vancouver’s Lower Mainland. How much should I be watering? Water according to the needs of your lawn. During periods of regular rain, you don’t need to water at all. Your lawn should be getting one inch of water each week. Invest in a sprinkler system that monitors the level of rainfall for you. What type of lawn seed should I buy? Start off by looking for premium seed rather than a specific type. Purity is the key. Generally, you’ll pay for seed quality; the lower-priced seeds won’t be weed-free. All seed is not equal and you generally will pay for seed quality and seed purity( ie no weed seeds). Overseed using a perennial rye grass. How often and when should I be fertilizing? Newly-fertilized lawn should be watered immediately, and the best time of day to water is the morning. That is when I recommend fertilizing. How often you apply fertilizer depends on the type. There are many different types of fertilizer on the market — organic, synthetic and synthetic organic blends – and each type has different application rates and frequency of application rates. Be sure to follow the manufacturer’s recommendations. In general, for premium or organic fertilizer, you can fertilize every 6 to 8 weeks. Synthetic fertilizers don’t need to be applied as frequently during the warm season. What about fertilizing during rainy periods? You can apply premium or organic fertilizer during rainy periods but not inexpensive synthetics: rain will wash out these fertilizers before the grass can absorb the nutrients. Organic fertilizers need moisture because they can’t retain it. The lawn around my buildings is clumpy, uneven, and patchy in places especially at the edges. What can I do? To improve the appearance, consider over-seeding and applying top-dressing. If the grass is rye grass, it won’t spread. You need to seed it evenly. My boulevard isn’t easy to mow. A lot of home owners in my area have turned their boulevard lawn into gardens. What tips can you give me for turning my boulevard lawn into a garden? Do I need to rake up my entire lawn? Understand what you are doing when you turn a lawn into a garden. If you plan to create a tree well garden, consider how this will affect lawn cutting. If you plan to add trees, ensure there is enough soil around the tree rather than have lawn grow right up to the tree. Or, purchase a trunk guard.It’s a myth that a garden takes less work and cost to maintain than a lawn. When you consider planting, pruning, adding fertilizer, it adds up to a lot more effort than a weekly mow.It’s also a myth that lawns are not healthy for the environment. Lawns produce oxygen and help to cool. Plants and shrubs can drawn more insects especially mosquitoes. If you plan to replace the lawn entirely, you need to cut back the sod and then improve the soil for plants. Avoid planting too close to the edge of the lawn, sidewalk and street. Plants can easily get damaged by a trimmer or mower, and they can create safety hazards. If the boulevard includes a mix of lawn and garden, avoid small strips of lawn that are tough to mow. How can I get rid of clover in my yard? Clover is a very difficult weed to deal with and it can be a problem if you are using a fertilizer with a high phosphorous level. Since herbicide spraying is banned in most municipaltities, consider corn gluten for your lawn.It’s important to dig up clover while it can be managed. If the clover only appears in small patches, dig at least 3 inches deep and a foot around the clover. My lawn includes dry and shady areas. What are your tips mowing? Do not cut the lawn too short. Try for 2.5 to a 3 inch cut height. I want to create a “wild garden” effect with ornamental grass? How much effort is involved? Ornamental grass comes in a wide variety of height, colour and texture. They provide an inexpensive, low-maintenance way to achieve a natural yet high-end landscaping effect. Unlike other plants, they only need to be cared for twice a year, in the spring and fall. You can start off by adding ornamental grass as a border or backdrop.